... China has proposed a novel idea: to form an alliance with the EU - the world's largest trading block - against the US, while promising to open up more of China's economy to European corporations. The idea was reportedly floated in meetings in Brussels, Berlin and Beijing, between senior Chinese officials, including Vice Premier Liu He and the Chinese government’s top diplomat, State Councillor Wang Yi, according to Reuters. Willing to use either a carrot or a stick to achieve its goals, in these meetings China has been putting pressure on the European Union to issue a strong joint statement against President Donald Trump’s trade policies at a summit later this month. 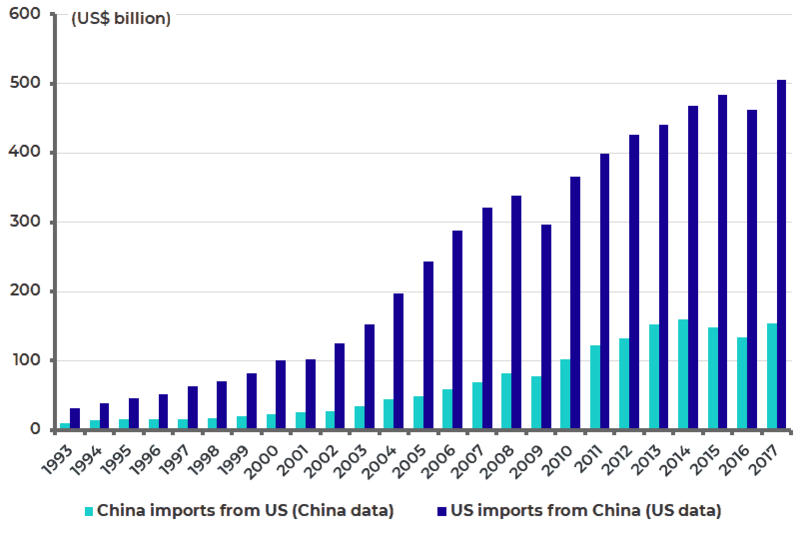 However, perhaps because China's veneer of the leader of the free trade world is so laughably shallow - China was and remains a pure mercantilist power, whose grand total of protectionist policies put both the US and Europe to shame - the European Union has outright rejected any idea of allying with Beijing against Washington ahead of a Sino-European summit in Beijing on July 16-17. Instead, in the tradition of every grand, if ultimately worthless meeting of the G-X nations, the summit is expected to produce a "modest communique", which affirms the commitment of both sides to the multilateral trading system and promises to set up a working group on modernizing the WTO. Incidentally, the past two summits, in 2016 and 2017, ended without a statement due to disagreements over the South China Sea and trade. Then there is China's "free-trade" reputation: a recent Rhodium Group report showed that Chinese restrictions on foreign investment are higher in every single sector save real estate, compared to the European Union, while many of the big Chinese takeovers in the bloc would not have been possible for EU companies in China. 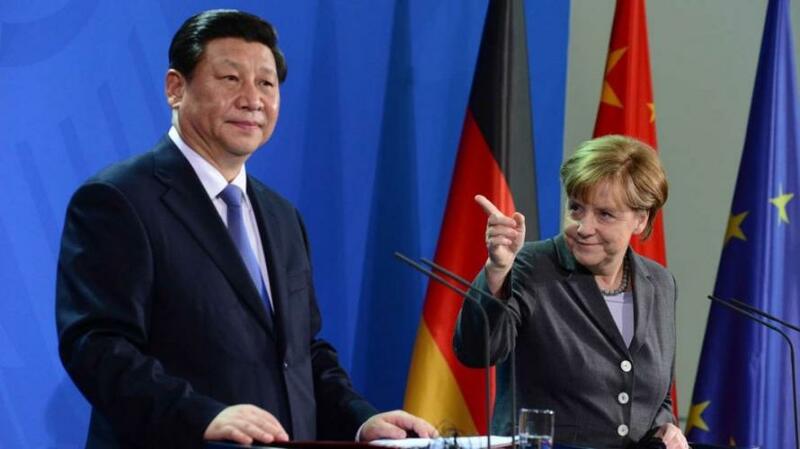 And while China has promised to open up, EU officials expect any moves to be more symbolic than substantive. Almost as if behind the facade of smiles and agreement, Europe has absolutely no belief that Beijing will ever follow through with its promises. In other words, not even when faced with the specter of a full-blown trade war, is Europe willing to terminally alienate the world's biggest buying power: the US consumer, in exchange for some vague promises for "open trade" from Beijing. That doesn't mean that China won't try however. Vice Premier Liu He has said privately that China is ready to set out for the first time what sectors it can open to European investment at the annual summit, expected to be attended by President Xi Jinping, China’s Premier Li Keqiang and top EU officials. Meanwhile, as the US-China trade war has drifted into the front pages of domestic propaganda, Chinese state media has been promoting the message that the European Union is on China’s side, putting the bloc in a delicate position according to Reuters. But why does Europe - which has so staunchly publicized its disagreement with Trump's policies - refuse to align with China? Simple: behind closed doors it admits that Trump's complaints about Beijing are, drumroll, spot on. “We agree with almost all the complaints the U.S. has against China, it’s just we don’t agree with how the United States is handling it,” another diplomat told Reuters. And while Europe's position is understandable, if hypocritical - after all if it believes that Trump's approach to dealing with an ascendant China is the right one, why not just say it - the attention will shift to China, and the admission that Beijing is terrified about the consequences of a full blown trade war. As Reuters notes, China’s stance is striking given Washington’s deep economic and security ties with European nations. It shows the depth of Chinese concern about a trade war with Washington, as Trump is set to impose tariffs on billions of dollars worth of Chinese imports on July 6. It also underscores China’s new boldness in trying to seize leadership amid divisions between the United States and its European, Canadian and Japanese allies over issues including free trade, climate change and foreign policy. “Trump has split the West, and China is seeking to capitalize on that. It was never comfortable with the West being one bloc,” said a European official involved in EU-China diplomacy. Wait, that's the exact same thing the media claims about Putin is doing, although usually in the context of some grand "Kremlin mastermind" when the establishment does not get the desired outcome. The irony is that whereas Putin is merely sitting back and enjoying the show, it is China that is actively engaging in secretive negotiations trying to shift the global balance of power. “China now feels it can try to split off the European Union in so many areas, on trade, on human rights,” the official said. Never one to act without a long-term strategic plan, Beijing's approach to cozy up with Europe may have an entirely different motive than isolating Trump: China’s offer at the upcoming summit to open up reflects Beijing’s concern that it is set to face tighter EU controls. Just like in the US, the European Union is seeking to pass legislation to allow greater scrutiny of foreign investments. Said otherwise, China is suddenly scrambling because it realizes that unless it locks up Europe, it may well be Trump who succeeds in convincing Brussels to sign a bilateral deal with the US, at the expense of cracking down even more on China, a move which would send China's annual GDP growth well below 6% as Beijing loses full access to its biggest trading partner. To be sure, European envoys say they already sensed a greater urgency from China in 2017 to find like-minded countries willing to stand up against Trump’s “America First” policies. And yet, according to the Reuters report, Europe is not one of those "like-minded countries." Almost as if everything that is publicly taking place on the international stage is nothing but a spectacle, one in which everyone's true motivations are 180 degrees the opposite of what is stated.